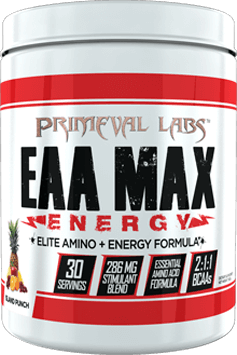 Last, but certainly not least, EAA Max Energy tastes absolutely delicious. After just one sip of EAA Max Energy, you’ll wonder why you ever spent your hard-earned money on those overpriced gas station energy drinks. The solution to your energy needs is here with EAA Max Energy! Why Use EAA Over BCAA? BCAA supplements were once regarded as the “holy grail” of supplements with the promise of increased size, strength, and recovery. But, in recent years, much of the mystique of BCAA has been wiped away as research has shown that they simply aren’t sufficient for sustaining protein synthesis. We all need a boost in energy from time to time. 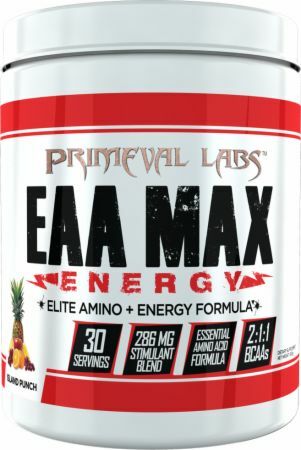 Rather than turning to some overpriced, sickly sweet energy drink that has nothing more to offer other than a temporary high and inevitable crash, mix up a scoop of EAA Max Energy. No EAA Max Energy Reviews Found. Directions For EAA Max Energy: As a dietary supplement, mix one scoop (12.1g) of EAA Max Energy in 10-12oz of cold water. Consume during exercise on training days, or throughout the day both training and non-training days.